The TASKalfa 356ci brings new meaning to efficient business performance in a compact footprint. Flexible functionality streamlines document processes while business color gets your message seen, making the TASKalfa 356ci a powerful solution that can grow with your business needs. 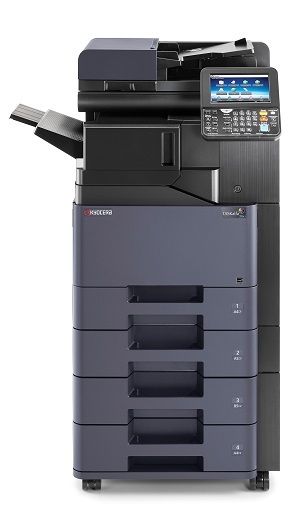 This 37ppm b&w/color machine handles all your output needs with an extremely small footprint and all the finishing options available for legal and ledger output. You’ll have plenty of ram, a large 7″ touch screen with tablet like features, AirPrint technology color scanning up to 80 ppm and 1200 dpi output.